Strikeforce Heavyweight Champ, Brett Rogers, is having a new and special diet in preparation for his upcoming battle with Josh Barnett. There is something new and different with Strikeforce’s Brett Rogers these past few days. If you will look closely to this heavyweight champ, he seems to be gaining pounds. Well, Brett Rogers explained that it’s not the training camp alone that boosted his weight. He is currently taking a new diet which he said is the key for being a “top to bottom” fighter. He even told MMAjunkie.com, “Because I understand that healthy is going to get you wealthy”. For Brett Rogers, diet is not the only ingredient which would make him win in MMA. Even though he eats a lot of burgers and salads, it would never be enough to make strong kicks and great punches. However, he is trying to improve his skills and throw out any weaknesses he may have after several defeats against top-tier competition. The Strikeforce fighter said that there are some factors that hinder him from doing a good match, including a “tug of war” between him and an unnamed coach. “But things have been taken care of,” Brett Rogers explained. Now, Brett Rogers is keeping himself busy so he could prove to himself and to his supporters that he could still fight and win. 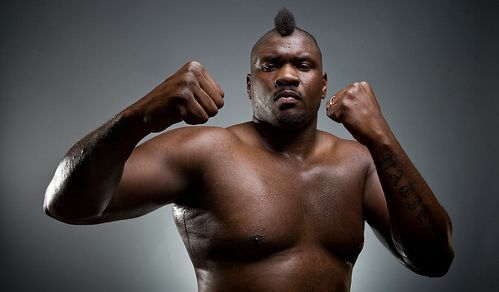 The heavyweight champ is currently preparing for his incoming battle against Josh Barnett. Brett Rogers sees this match as a big challenge, especially now that there are some buzzes stating that Josh Barnett is such a dangerous opponent.